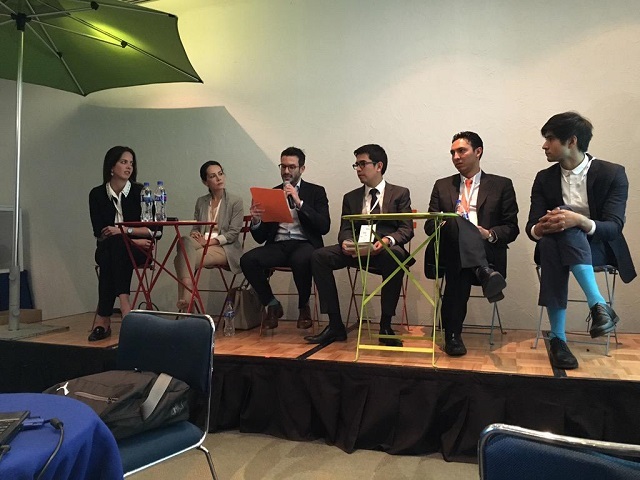 This morning kicked off the second day of the International Congress on Sustainable Cities and Transport (“XI Congreso”) in Mexico City, where urban planners and transport experts have gathered to brainstorm on how to build more “human cities.” Today’s workshops, panels and meetings homed in on the New Climate Economy and how technology are playing parts in shaping sustainable cities and transport. The New Climate Economy report was the focus of three presentations and three panel discussions, which focused on: innovation, sustainable infrastructure, the productivity of natural resources and legislation for low-carbon development. Coverage kicked off with former President of Mexico Felipe Calderón presenting the key findings of the report and the economic opportunity presented by making sustainable choices. Calderón stressed the economics of expeditious action, explaining that “Not acting now will be much more expensive than acting now.” Indeed, investing in green infrastructure like public transport and building efficiency could generate $17 trillion dollars in net savings for cities by 2050, while cutting global annual greenhouse gas emissions by more than the annual emissions of Japan and Russia combined. Former mayor of Portland and current Director of U.S. Climate Initiative at World Resources Institute, Sam Adams, presented on the economic development strategy of Portland while he was in office. “My goal as mayor was to transform Portland into the world’s most sustainable economy,” Adams stated. The city has a commitment to creating jobs in the clean energy sector, allowing the area to receive economic benefits while supporting sustainable industries. Technology’s role in designing safer, more inclusive cities is growing in importance every day. From innovations in sustainable urban mobility to more energy efficient buildings, technology can be used to solve a plethora of urban problems. While information technology is allowing public transport to collect and utilize innovative data, clean technology is reducing the amount of emissions stemming from cities’ transportation systems. With 30 percent of all energy-related emissions in Latin America coming from transport (and growing), the development and implementation of clean transport technologies is a major priority for urban areas in South America. Panelists admonished that while the technology may exist for cleaner transport, the barriers to implementing them can be very high. Two major barriers discussed at the Congress included cost and legislation. To overcome the high startup costs, cities should assess the funds they have, then identify corresponding options—including retrofitting buses and diversifying fleets with various bus types. Brasilia and Curitiba, for example, are two cities that have successfully upgraded their outdated bus fleets for cleaner alternatives; some areas in these cities even saw particulate matter emissions drop by 95 percent, thanks to the new technology. To create the necessary legal framework for road safety and technology, experts at the Congress recommended passing a General Road Safety Act. Such legislation would regulate and ensure competition in the transport market and control the new organizational bodies, and ensure cleaner transport programs receive the funding they need. 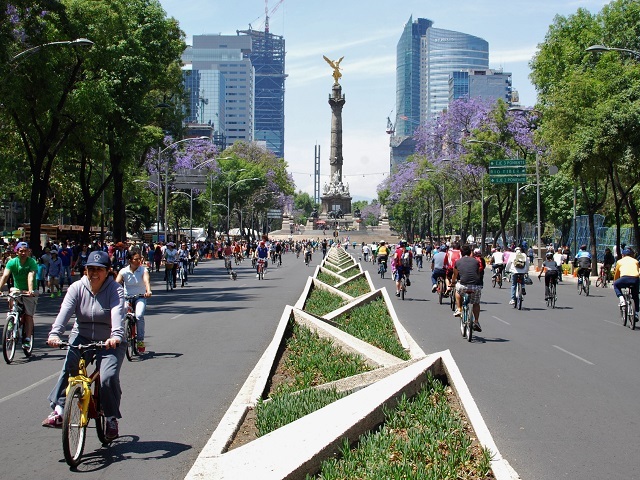 Follow the conference online at #CiudadesyTransporte, @Congreso_CTS, @EMBARQMx,@WRIcities, TheCityFixMexico and watch the keynote sessions live online from Mexico City’s World Trade Center.